Multiple Sclerosis is a disease that is often unpredictable and unrelenting. The National MS Society and it's community of supporters are coming together to help those affected by MS.
BALTIMORE. MD (WMAR) — Multiple Sclerosis is a disease that is often unpredictable and unrelenting. 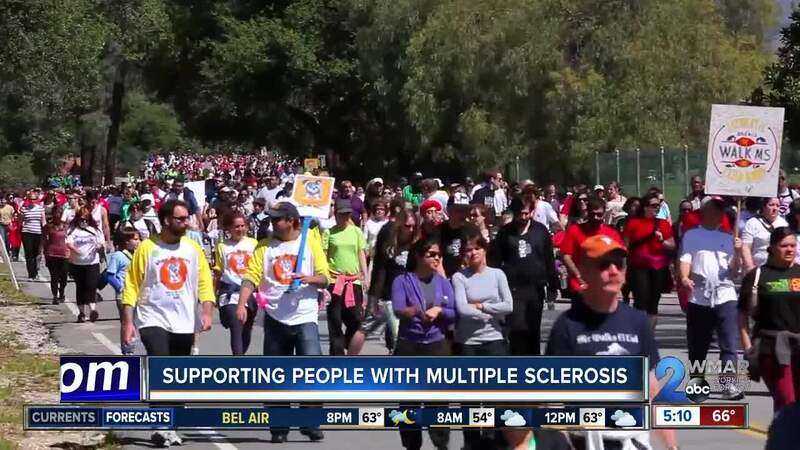 The National MS Society and it's community of supporters are coming together to help those affected by MS.
Chartese Berry is the President of the National MS society and has been working hard to help the organization reach it's goals. "We have a vision of a world free of MS but our number one goal is to move people forward in their journey with MS and to make sure that they live their very best lives and have what they need to be able to live with this disease. " said Berry. Dr. Scott Newsome has studied MS for most of his life, even before he became a Doctor. "My mother had MS and this was at a time when had no therapies and now its a different ball game." said Dr. Newsome. "MS is an auto immune disease of the central nervous system. The immune system gets revved up for reasons not really clear to us and attacks a person who has MS nervous system . It could be the brain, it could be the eyes, it could be the spinal cord." explained Dr. Newsome. Because Multiple Sclerosis can present differently in each individual, its often hard for newly diagnosed persons to chart a course. That's where the Nation MS Society comes in. " We have people that are connecting with people via telephone, via online chat to help people navigate their journey, To help them connect with resources whether its community support groups or self help groups helping them find a health care provider." said Berry. As the largest private funder of MS research, The National MS Society will be hosting a walk in Camden on Saturday April 13th. The money raised funds programs, research , and advocacy initiatives keeping legislators and pharmacies honest. For more information on the National MS Society click here .